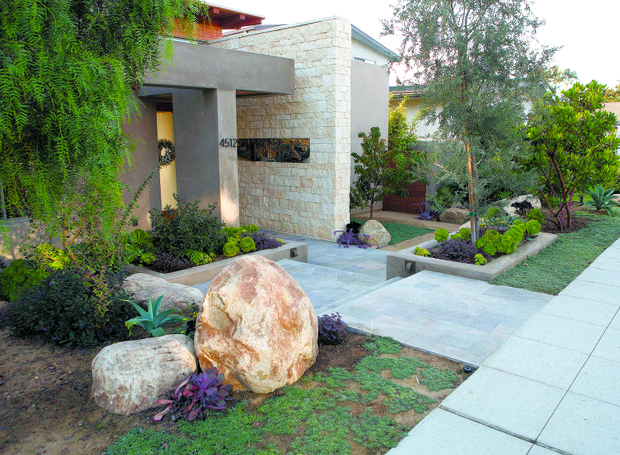 For the Eichen/Flieder residence landscape Betsy Schulz combined boulders, concrete seeded with pebbles and shells, low-water plantings, fruit trees, and a vegetable garden. 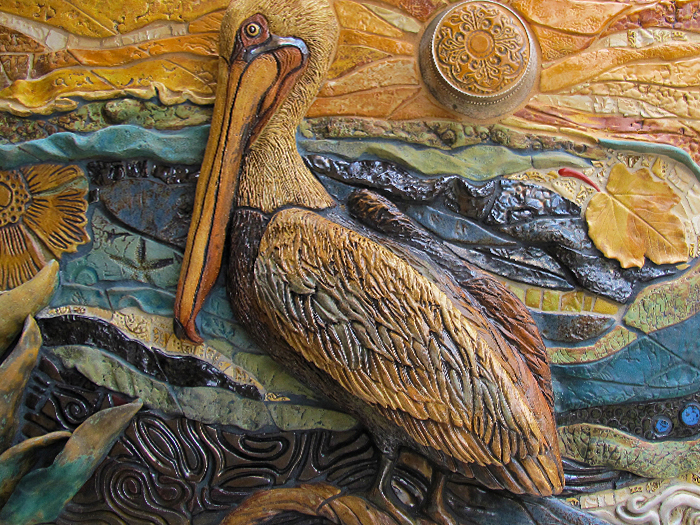 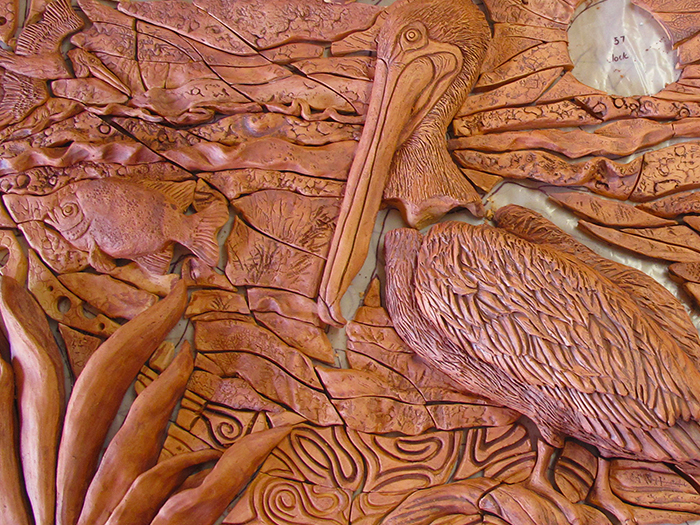 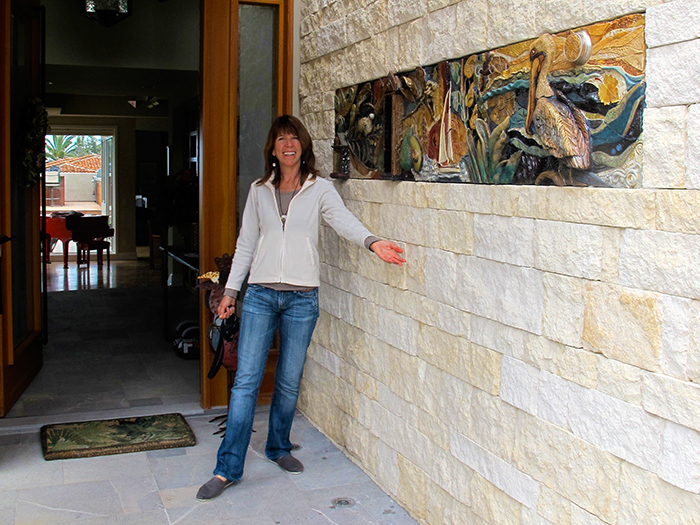 She also completed a hand sculpted-tile mural for the front entry. 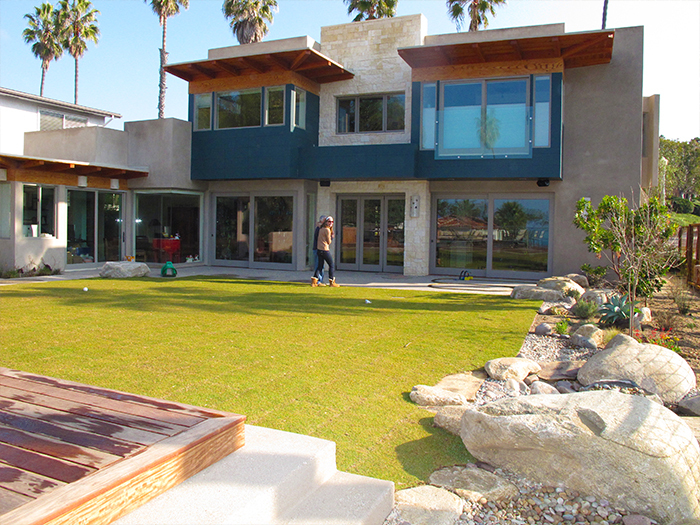 The project started with the design of scaled site plans, detailed drawings of specific garden features (such as the custom fence, gates, and mural), and the selection of project materials and exterior house colors. 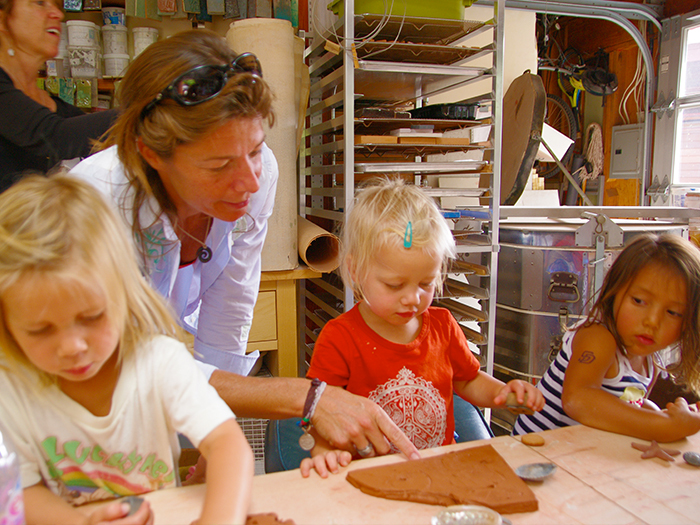 Schulz hosted a tile-making workshop and garden-planting party for the family and friends so they could contribute to the creation of the new landscape and entry mural. 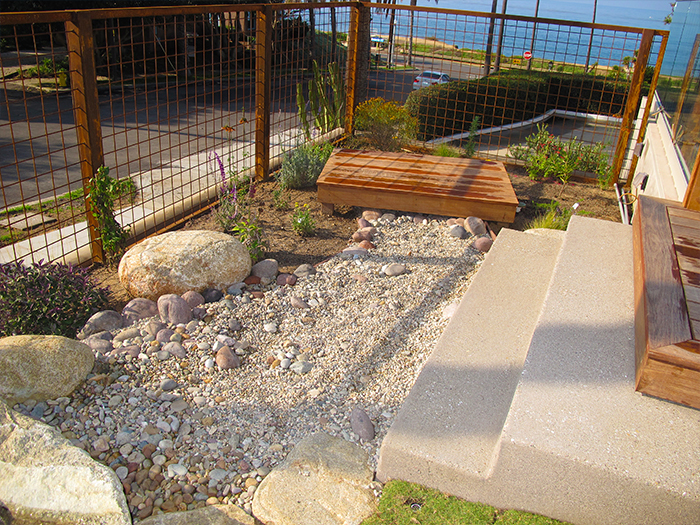 The completed garden is a child-friendly and largely edible landscape.